For the perfect mixture of protection and design, make your own phone case using your own photos. A wallet case provides excellent storage as well as great protection from scratches and drops. 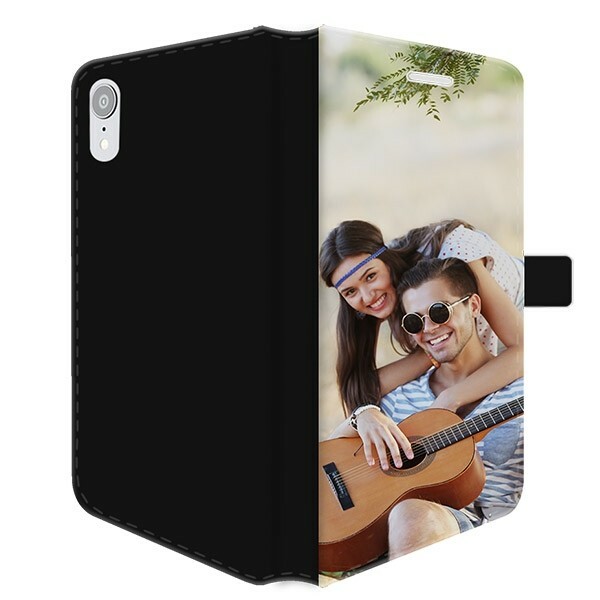 Create a custom iPhone Xr case for a personal touch that you will love to show off. A custom wallet case gives you one place to keep your phone, important cards, and cash while protecting your iPhone from drops and scratches. Just because this case is incredibly functional doesn’t mean it can’t look great as well. Our front printed wallet case allows you to print your own photos or design on it for a truly personal touch to your custom phone case. Whether it be a photo of your children, a special memory, or just your adorable pets, let the world see what matters to you with your custom iPhone Xr case. 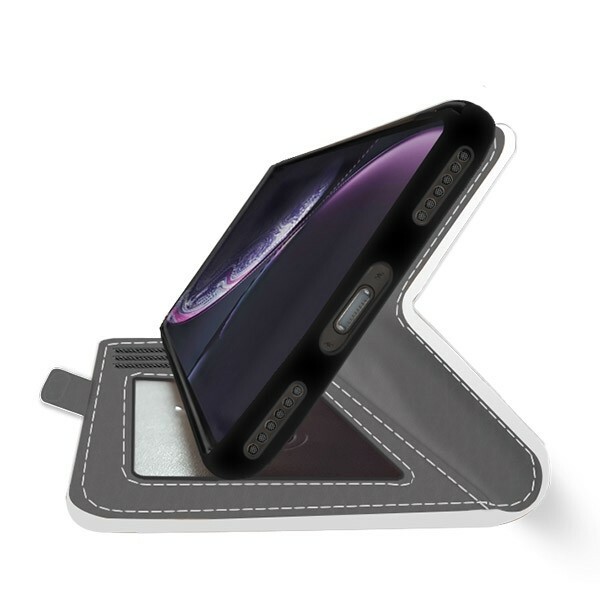 Designing a custom case is easy, create your own phone case now! Designing a custom wallet case for your iPhone Xr is easier than you think. We’ve made it easy to you can focus on creating a design that you will love. 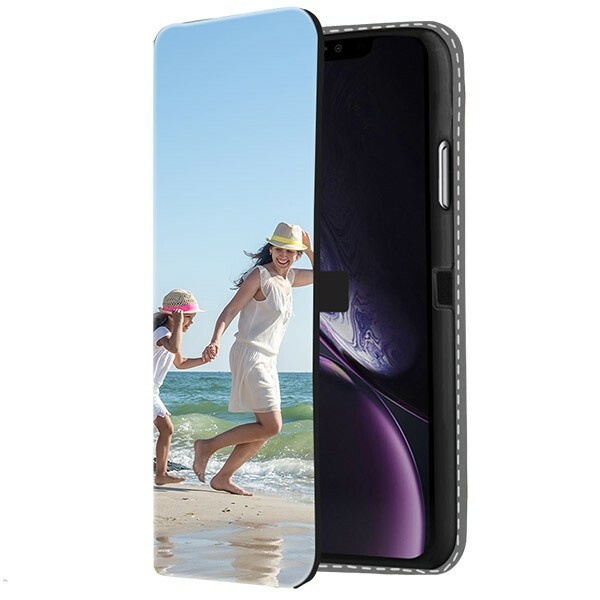 In just a few easy steps and in as little as five minutes you’ll make a custom iPhone Xr case that people will talk about. Upload your photos on their own or as a part of a collage, add any filters, text, or emojis and submit the order. With just a little effort you can create the perfect phone case for yourself or as a great gift. Give designing a custom phone case a try and if you like it, order it. Once you’ve completed your design submitted your order, our production team will start working on it almost immediately. We focus a lot of effort on making sure you provide you with quality products which is why we print using high-resolution printers using scratch-resistant ink. 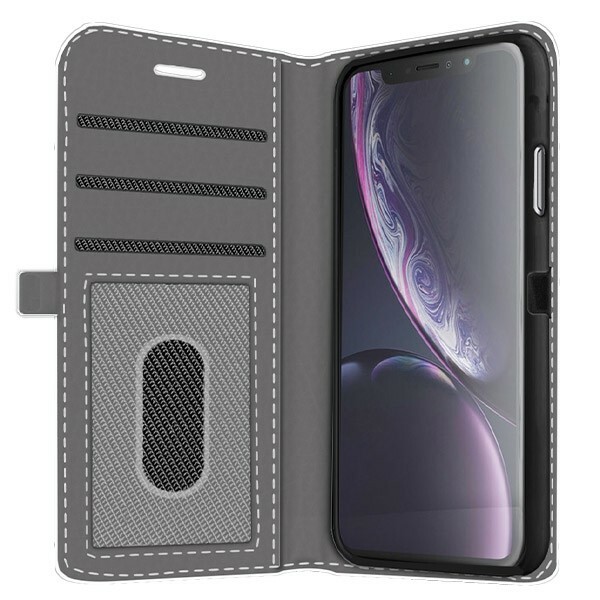 Even if you decide you want a new design in a few months, we think your custom iPhone Xr case should last as long as you use your phone. That’s why we used the best materials for your phone. Once your case wallet case has been printed and checked for any errors or imperfections we’ll ship it to you. You make it look exactly how you want, and we’ll deliver it to you. Make your own phone case now.